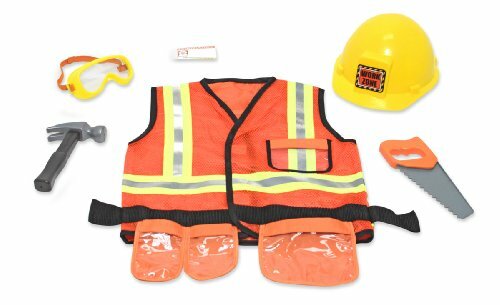 I know a certain 3 year old that would love to receive this Melissa & Doug Construction Worker Role Play Set. It comes with a hammer, saw, helmet, vest and goggles. When I first put this gift idea together, the Fisher Price Fun to Imagine Work Light was available, and I know my son would love to play with this. Anytime he gets his own light, he has lots of fun exploring and making shadows. Unfortunately I can't find it available, but will add a link to it if I find it again, which will hopefully be soon. 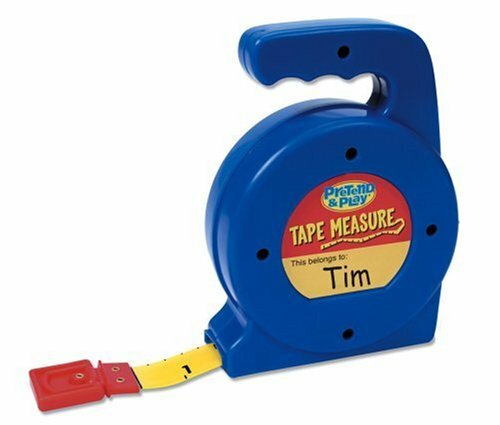 Instead, you could include the Learning Resources Pretend & Play Tape Measure. We had a tape measure by a different manufacturer that didn't hold up very well, but before it broke, everything was measured! He didn't fully understand the concept of the numbers and measuring, but it was fun anyway. 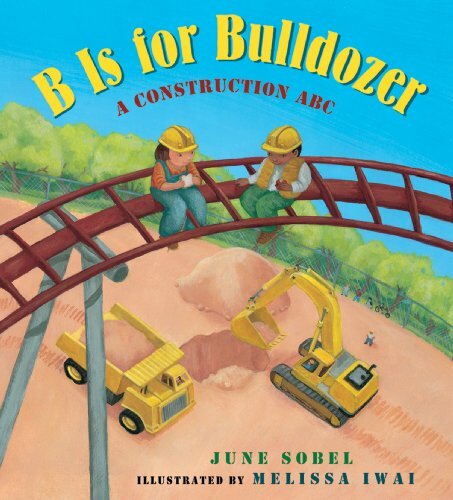 We have the book B is for Bulldozer and it's a good book for going through the alphabet and construction elements. If I were to give this gift to one of my son's preschool classmates, I would use the Birthday Zone Warning Tape as the bow for the package! See the links below for where to purchase.